Gluten free strawberry shortcake with fresh strawberries, blueberries, blackberries and raspberries with a Greek yogurt honey cream filling! Growing up born in the 80’s when the words Strawberry Shortcake comes to mind I think about a cute little red-headed cartoon that I used watch and adore on TV when I was about 3. A cute little girl that lived in a shortcake with her cat. Do you remember that cartoon? They have remade it over the years but here is a clip. My mind as a 3 year old was not at all on a creamy biscuit filled with strawberries and cream to eat… like these ones in the shape of a scone. Fast-forward 33 years and all I want to do is eat that scrumptious cake she lived it! Ok, not really. 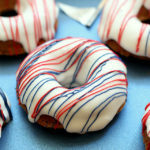 But seriously, if you lived in a cake- what would happen? Would you eat the walls? You’d try, right! This delicious gluten-free strawberry (and more berries!) shortcake can totally be formed into a cake or made into biscuits. Or… like I did, by slicing it into 8 triangles to resemble a scone. Because I LOVE scones! 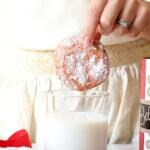 Plus I don’t have to grab a circular cookie cutter (an extra thing to wash!) to make biscuits out of the dough. Just form the dough, slice and bake! Give me 1 less step any time or 1 less dish to wash and I am in! 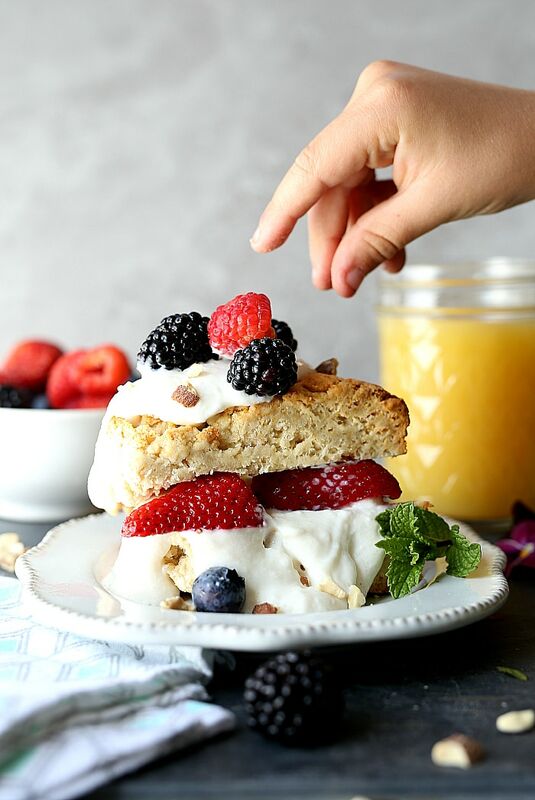 This time for the win because they are deliciously easy gluten-free shortcakes to make! And with Easter morning and Mother’s Day coming soon, a simple brunch for the family is just what I adore. 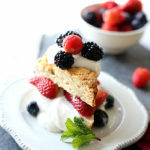 And these shortcakes are simple! With every recipe there comes a “sweet spot”. The sweet spot is in the cream filled inside these gluten-free strawberry shortcakes! I filled them up with protein packed non-fat Greek yogurt whipped together with honey and gelatin! Gelatin is the golden key to making the filling a little thicker and a little more savory in texture. It makes the yogurt more of a jello that lasts in your mouth slightly longer while you eat! Means you don’t have to eat as much-right? Wishful thinking! 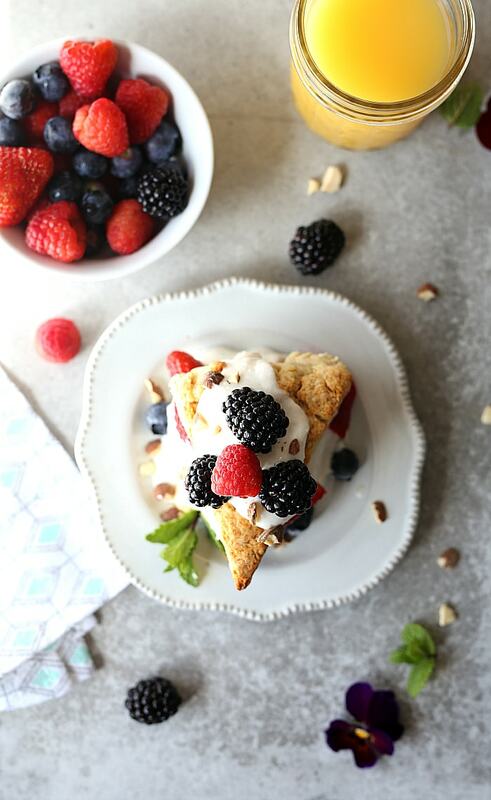 There is no butter in these gluten-free shortcakes, just metabolism boosting coconut oil. 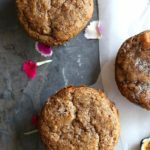 Coconut oil is great to cook with because it brings out a natural sweetness to these shortcakes and other baked goods. Play with your toppings and fillings. Cream! You can use whipped cream, coconut whipped cream or my honey Greek yogurt gelatin filling! Berries! Add Strawberries for sure!!! Strawberries are packed with natural sweetness and vitamin C. They radiate a beautiful red color. Then take it further and switch it up with blackberries, blueberries and raspberries. Maybe try a tropical shortcake and add pineapple, mango or papaya fruit! Nuts! 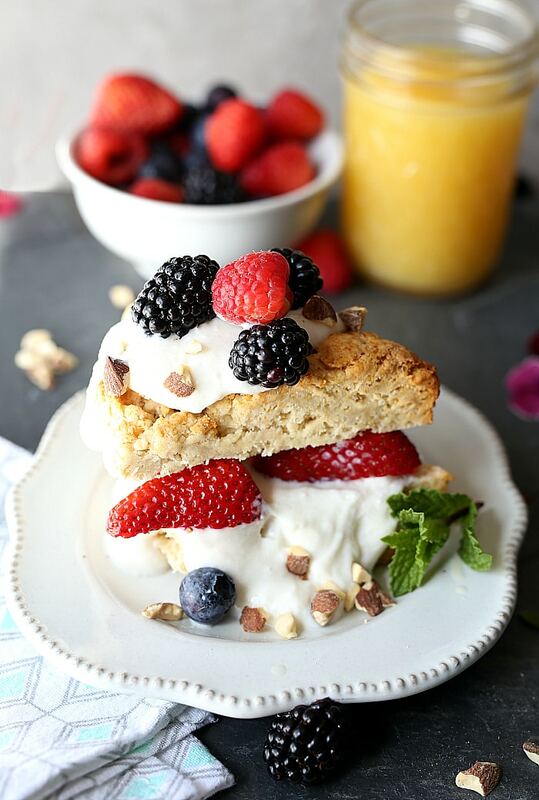 Crushed almonds, toasted almonds and cashew pieces make a great addition to these gluten-free shortcakes! 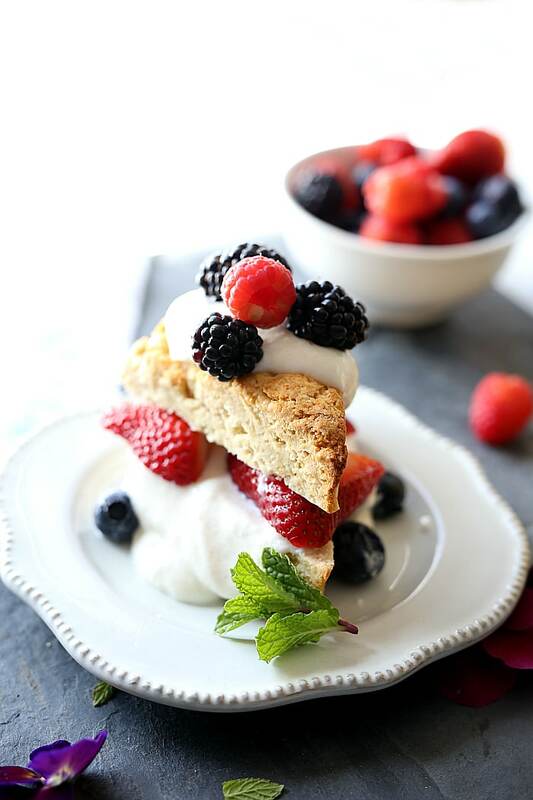 Gluten free strawberry shortcake with fresh strawberries, blueberries, blackberries and raspberries topped on a Greek yogurt honey cream filling! In a large bowl combined the gluten-free flour, tapioca flour, xanthan gum, baking powder, baking soda and salt. Fold in the soft coconut oil smashing down with a spatula to combine in the flour. In a small bowl whisk together the eggs, maple syrup and 1 cup of Greek yogurt. Pour the liquid ingredients into the dry ingredients and mix together to form a dough. Add the almond milk and continue to form a dough ball. Place the dough ball on the prepared baking sheet. Smash down the ball to form a flat circle. With a knife, slice into 8 triangles (like you would a pizza). Meanwhile while the shortcake is baking make the yogurt filling. Using an electric mixer blend together 2 cups Greek yogurt, vanilla, honey or maple syrup until combined. Add the gelatin and whisk together on high for about 1 minute. Let it set in the refrigerator to harden overnight or it can be served when the shortcakes are ready. The filling is best though when it sets to thicken overnight so that step can be made ahead of time. When the shortcakes is finished baking, remove it from the oven. Let it set to cool then slice each one in half. Layer each one by filling it with the prepared yogurt and topping with strawberry slices, then the top of the shortcake, then more filling followed by fresh berries, strawberries and nuts. So sweet of you to say Albert, thank you and enjoy!